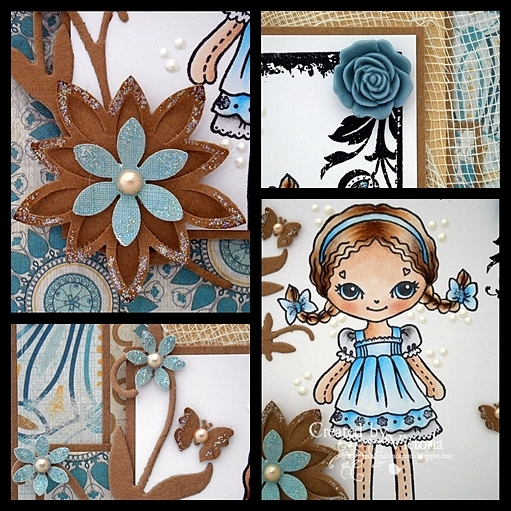 So onto my card...and today I have used one of the paper dolls from Sugar Nellie which was released back in February of this year. I think lots of peeps were put off cos' the size of the stamp ( they have gorgeous long legs...! )...so I have cropped my image down...what do you think?? 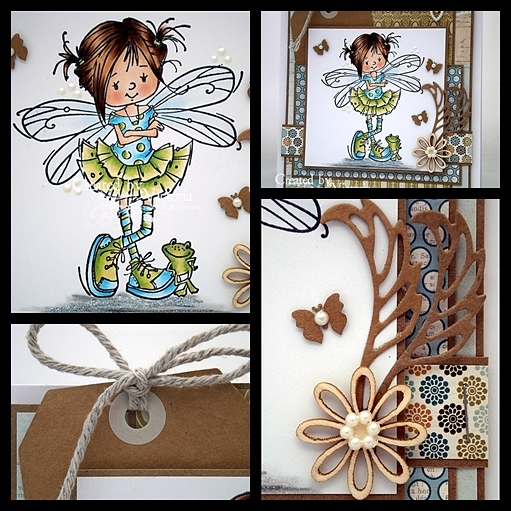 I have teamed her up with some lovely MME papers, a flourish, a couple of punched flowers and butterflies and some cheese cloth too.. Corner stamp ~ LOTV "Grunge Corners"
So that's all from me today...hope you all have a good one and I'll catch ya laters after work.. 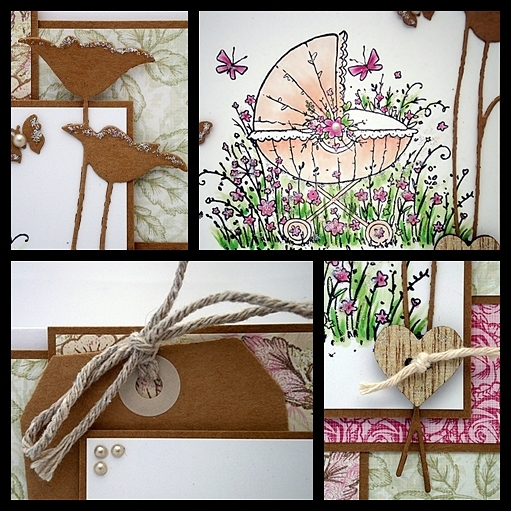 So on to my card...and today I have the huge pleasure to show you one of this years releases from Wild Rose Studio...and this is from the Annabelle's Meadows collection. This stamp is just so versatile...perfect for a new baby or a christening...or you could use it to create a scene too...a beautiful stamp.. I have teamed this stamp with some matching papers, a tag, die cut flower from a MB die....and Oops Kraft too..! hope you all have a lovely day...and I'll catch ya all laters.. So onto my card...and today I have the pleasure to showcase this gorgeous stamp from Sarah Kay...and she is one of my favourite artists too.. I have teamed this sweetie with some beautiful Prima papers, a MB "Chloe Stem" flower, some cheesecloth..and again I have used some Kraft card...me thinks you will be seeing lots more of this...so I apologise again...lol..! 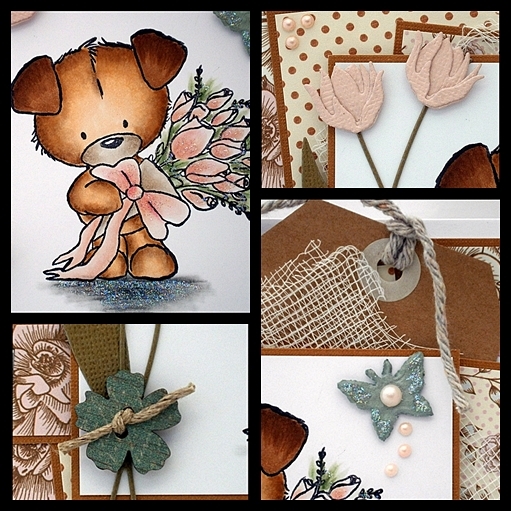 Papers ~ Prima "Nature Garden"
Flower ~ MB "Chloe Stem"
and check out all the lovely new stash...including the new summer release of Memory Box dies and stamps too...they are simply gorgeous..! So that's all from me today...hope you all have a lovely day...and I'll catch ya all laters.. 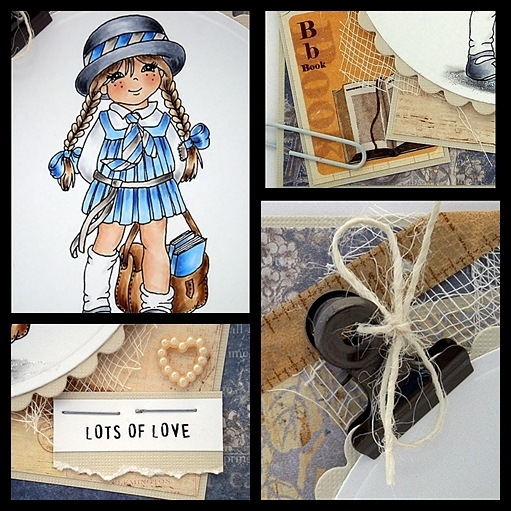 I have teamed her up with some gorgeous MME papers, a tag (Ooh I think I have a thing for Kraft at the mo...as well as tags..sorry...!! ), a wooden flower and some lovely new leaves from a Marianne D die too.. So that's all from me today...long shift at work...so I will catch up with you all laters.. So that's all from me today...but before I go over at.. There is a 10% discount on all Tim Holtz ink pads and Designer papers pads until 1 June @ 9am...so pop along and grab a bargain...and there is also some gorgeous new items from Meiflower too..! So that's all from me today....have a lovely day and slap on that suntan cream...woohoo...! Hope you are all well today....wow it's gorgeous outside already...! lots of yummy sun and it's lovely and warm too...fingers crossed it's finally the start of our summer...lol..! 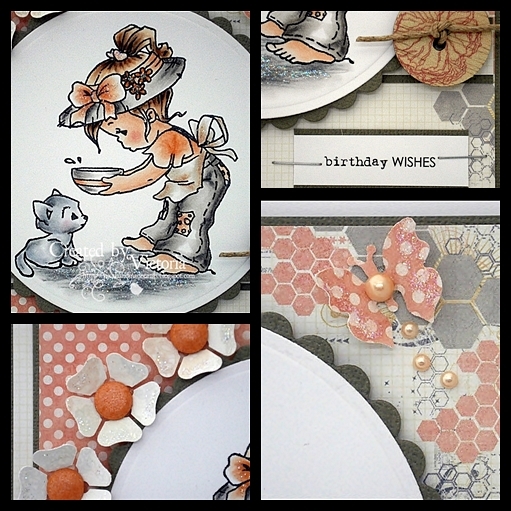 Hope you are all well today...and welcome to our last day of our blog hop over at Sugar Nellie.... I hope you have enjoyed seeing all the gorgeous new Country Cousin Stamps...and woohoo...they are available today over at Funky Kits...! 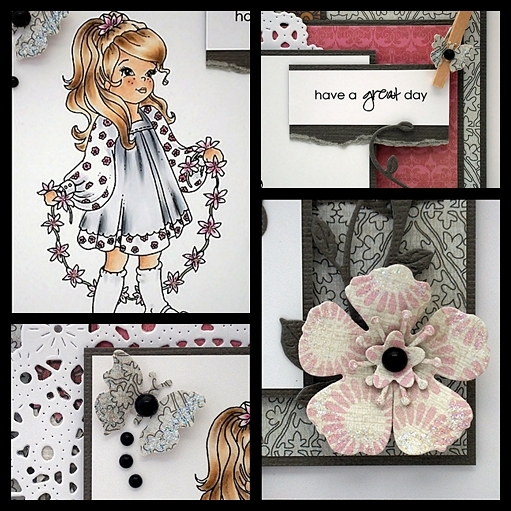 Stamp ~ Sugar Nellie @ Funky Kits...available today...! So your next stop is the fabulous Kathrin...and Ooh she has done it again...another beauty coming up..! 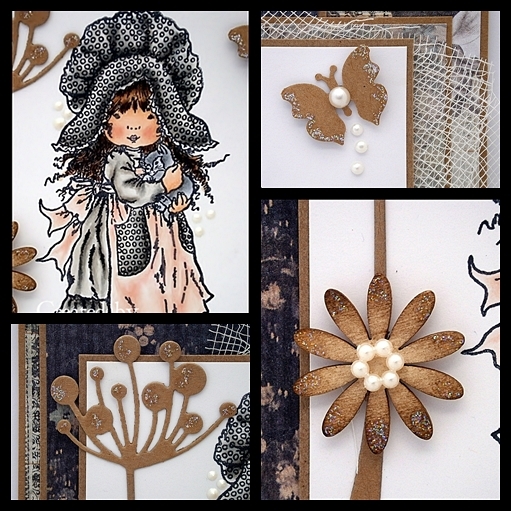 Papers ~ Wild Rose Studio "Vintage Rose"
Hope you are all well today....and welcome to day 3 of our Country Cousins blog hop over at Sugar Nellie..
Doily ~ Cheery Lyn "French Pastry"
So your next stop is the lovely and talented Kathrin..and wow another gorgeous creation coming up..! So thanks for stopping by...hope you all have a lovely day...and I'll catch ya all laters..